“Savers who look away from Islamic banks will be missing out on the best returns for their cash. In addition, savers who do choose a Sharia’a compliant account will be investing ethically thanks to steadfast Islamic law principles. “Islamic banks don’t pay interest, but they do pay an expected profit rate, and this can be comparable to other savings accounts, so savers would be wise to consider these deals. In fact, savers can get an expected profit rate of 2% or more on a one-year fixed bond with Islamic banks, but not the equivalent in interest from other mainstream brands. It’s also worth knowing that Gatehouse Bank stated it has never failed to pay its expected profit rate. “It’s worth remembering that the Islamic banks within the Best Buys are fully covered by the Financial Services Compensation Scheme and regulated by the Financial Conduct Authority. Therefore, in times of economic uncertainty, savers can take assurance that, were an Islamic bank to default, they would have the same level of protection as with any other provider under the same scheme. “Islam teaches that money has no intrinsic value, so individuals cannot be charged or earn interest, but savers do not need to follow the religion to apply for a savings account with an Islamic bank. In fact, an estimate by Gatehouse Bank revealed that 70% of their savings customers are non-Muslim. 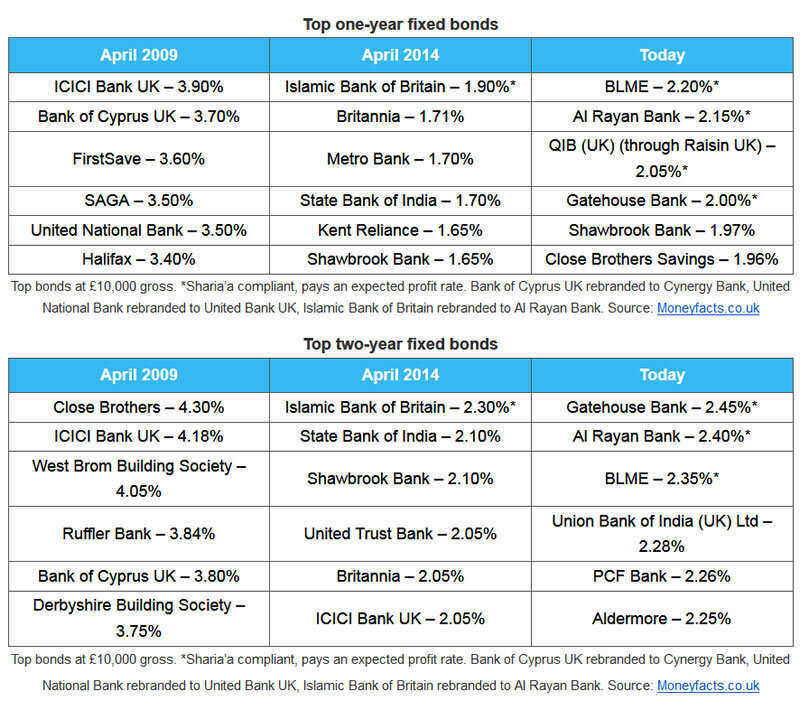 “Currently, Al Rayan Bank, Bank of London and The Middle East (BLME), Gatehouse Bank and QIB (UK) – the latter through Raisin UK – sit as the top four best rates on the market for one-year fixed rate bonds, whereas if we look back to just five years ago, only Islamic Bank of Britain (now branded as Al Rayan Bank) was in the market. Further still, 10 years ago there wasn’t one Islamic bank offering deals in this sector.